March is Women’s History Month, and March 8 is International Women’s Day. 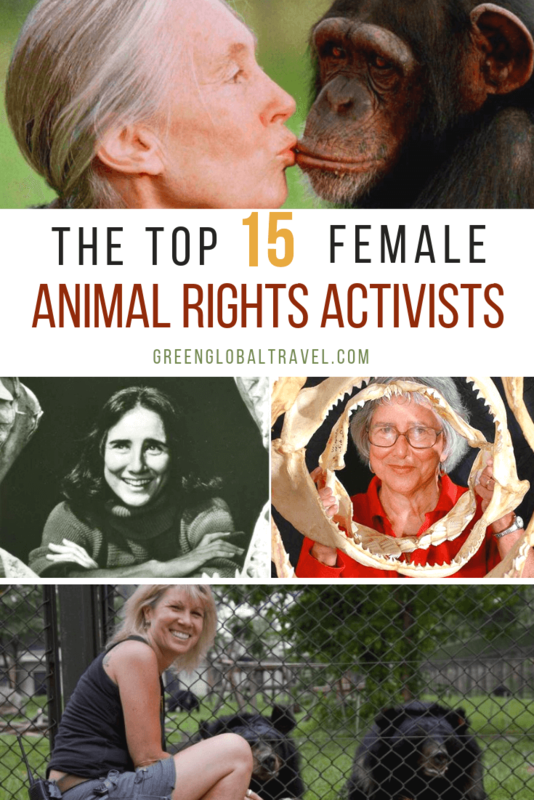 To celebrate, we thought this would be a great time to honor 15 inspirational women who are outspoken wildlife conservationists & animal rights activists. Some of them are famous, such as the founding mothers of modern primatology (Jane Goodall, Dian Fossey, and Birutė Galdikas, a.k.a. the Trimates). Some are lesser-known pioneers in nature and wildlife conservation. 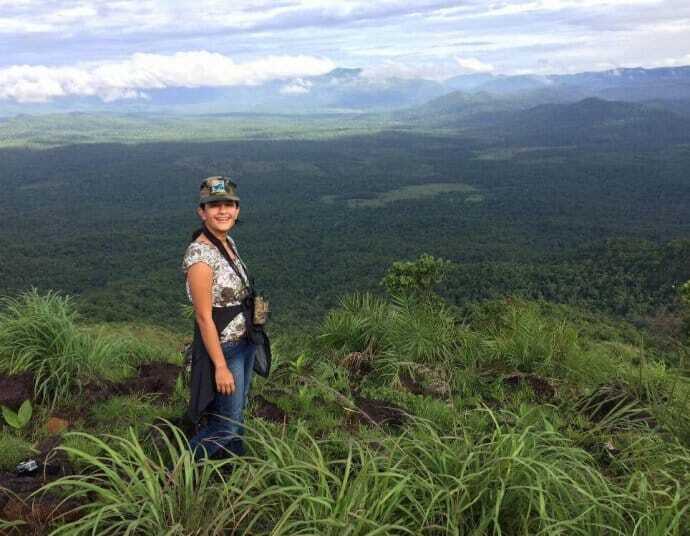 Others, such as Lek Chailert of Thailand’s Elephant Nature Park and Lori Robinson of Animals Asia, represent a new generation of women fighting for the survival of our planet’s most endangered wildlife animals. What these incredible female heros all have in common are drive, determination, and leadership skills that have allowed them to change the world for the better. Our endangered species need advocates now more than ever. And these inspirational women have proven that there’s nothing a person can’t accomplish through passion and persistence. 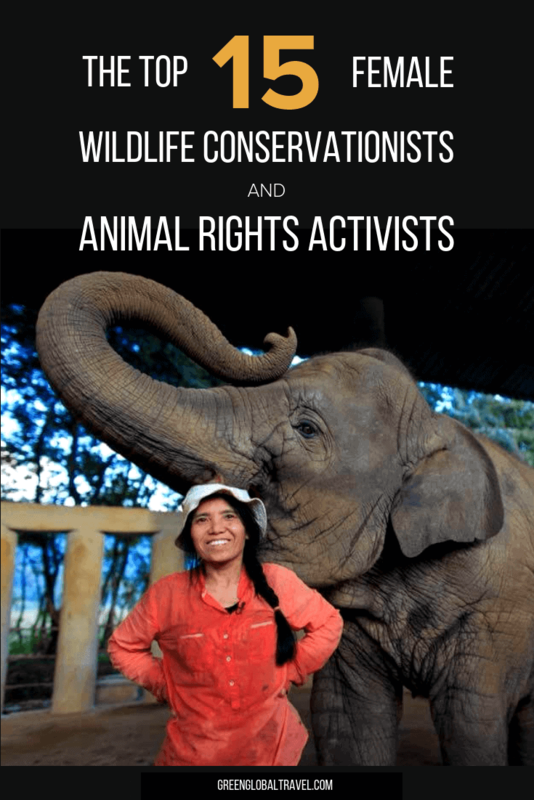 So let’s celebrate these famous wildlife conservationists and influential animal rights activists and join them in taking the movement forward to save animals. Whether it’s by volunteering in local wildlife conservation projects or supporting those overseas, there’s no shortage of work that needs to be done by the women of today and tomorrow. Internationally recognized chimpanzee expert Dr. Jane Goodall has been studying these great apes in Tanzania’s Gombe Stream National Park and advocating for their protection for 55+ years. A rare female in a scientific field that was dominated by men, Goodall was often criticized early in her career. Experts took issue with her giving names to the Chimpanzees she studied and interacting with them rather than remaining a passive observer of their behavior. And yet her work forever changed our view of apes and mankind’s history. Dr. Goodall established the Jane Goodall Institute in 1977 to support her Gombe research and help conserve Chimpanzee habitats. The institute is recognized for its innovative educational and community-based programs throughout Africa. 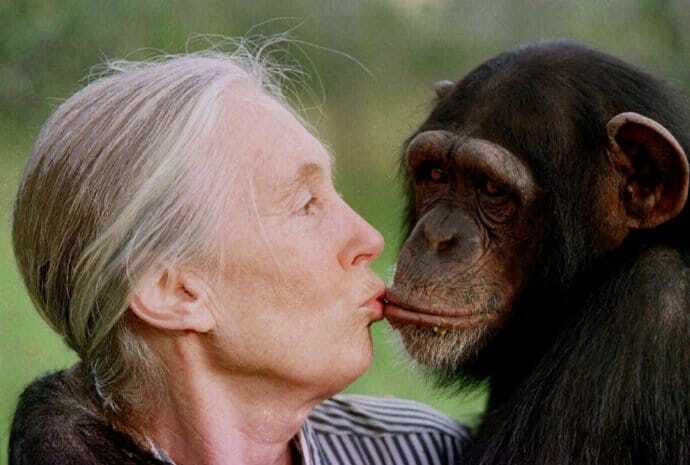 Dr. Goodall also uses her knowledge to improve the conditions of lab Chimpanzees and those in zoos. As a United Nations Messenger of Peace, she continues to tour the world on average 300 days a year, educating the public and raising awareness about Chimpanzees. 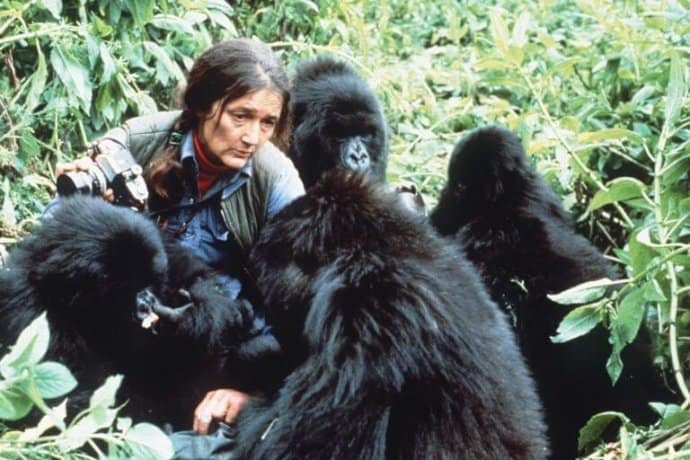 One of history’s most controversial animal conservationists, Dian Fossey’s passion for Mountain Gorillas took her all the way to the misty mountains of Virunga, Rwanda in 1967. She immersed herself in studying the familial relationships and societal structures of these primates for the next 20 years, and became a staunch opponent of poaching. She also invented many of the “active conservation” techniques still used today. In 1983, Fossey published her memoir, Gorillas in the Mist, an account of her influential work studying four gorilla families. Fossey started a nature preserve for the study of Mountain Gorillas in Rwanda, and gradually habituated them to human presence. She also built the Karisoke Research Center, where she was found brutally murdered in 1985. Although Karisoke was destroyed during the Rwandan Civil War, her spirit continues via Dian Fossey Gorilla Fund International. The NGO is dedicated to protecting Mountain Gorillas, less than 900 of which remain in the wild today. Long before pictures of orphaned Orangutans in lands deforested to clear the way for palm oil plantations became common, wildlife conservationist Dr. Biruté Galdikas was interested in their preservation. When she first received funding to travel to the wilds of Indonesian Borneo in 1971 to study Orangutans, many dismissed her research as impossible due to their elusive nature. But much of the relevant knowledge we have about Bornean and Sumatran Orangutans today is because of her hard work. Dr. Galdikas created Camp Leakey– named after Louis Leakey, who funded her mission– and it remains the site of the longest continuous study of any primate. 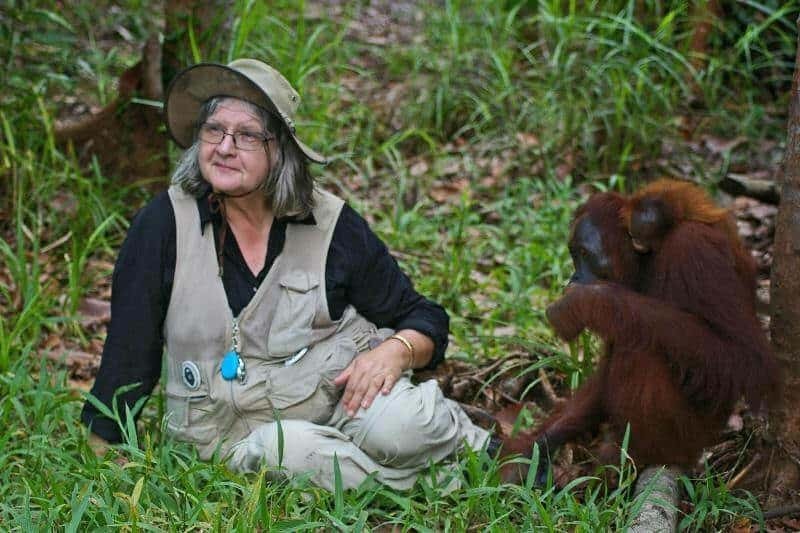 She later wrote scientific articles and lectured extensively about her work, and advocated to protect the Orangutans’ diminishing natural habitat. She also established the Orangutan Foundation International (OFI) in 1986 in Los Angeles to support these great red apes, which remain on the verge of extinction. Her decades of hard work helped bring about the 1964 Wilderness Act, which banned development on millions of acres of national forests. She also persuaded President Dwight D. Eisenhower to set aside 8 million acres for the creation of the Arctic National Wildlife Refuge. In 1924 she married Olaus Murie, who worked for the the U.S. Fish and Wildlife Service in Fairbanks. Their honeymoon was a 550-mile, eight-month expedition to study Caribou in Alaska’s Brooks Range. 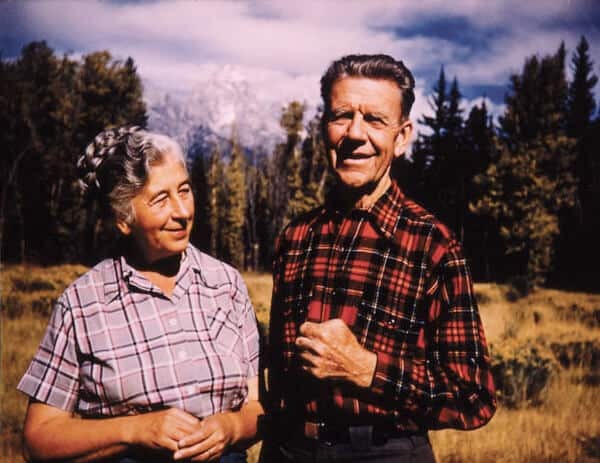 After her husband’s death, Murie continued on as an influential speaker addressing Congress, state and federal agencies, and environmental groups. In 1998 President Bill Clinton presented her with the Presidential Medal of Freedom, calling her “a pioneer of the environmental movement.” She lived to be 101– a true testament to a fulfilling life spent largely outdoors. The first female director of the U.S. 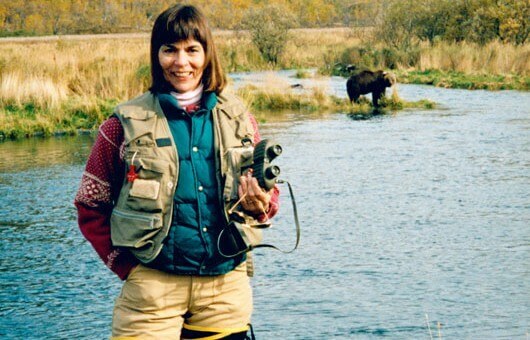 Fish and Wildlife Service (appointed by President Clinton in 1993), Mollie Beattie accomplished quite a bit in the three years she served. She oversaw the reintroduction of the gray wolf into Yellowstone National Park for the first time since the 1920s, and was responsible for the addition of 15 National Wildlife Refuges. She also played an integral role in defending landmark environmental laws, such as the Endangered Species Act and the Clean Water Act. After she passed away from brain cancer at the age of 49, an 8-million acre wilderness area was named in her honor in the Arctic National Wildlife Refuge. Despite being taken from us at a young age, her work continues to protect our wild lands for generations to come. 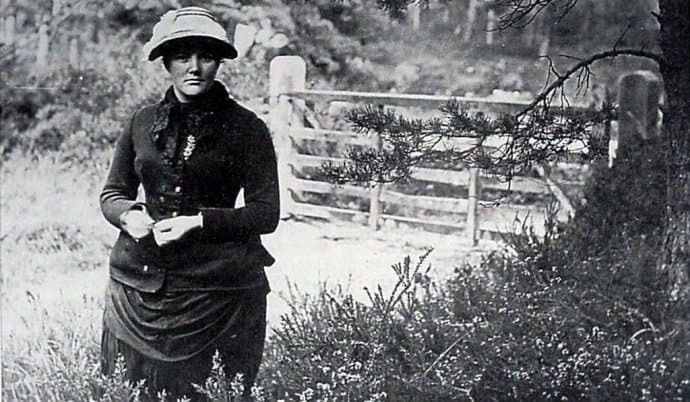 Lizzy Lind af Hageby (1878-1963) was an extremely influential Swedish-British animal rights activist. She took up the cause of anti-vivisection after attending University College London with her friend, Leisa Schartau. In 1903 they co-authored The Shambles of Science: Extracts from the Diary of Two Students of Physiology, an exposé on the cruelty of performing operations on live animals (with and without anesthesia) in front of medical students. The book accused researchers of having vivisected a dog without an adequate anesthetic. The accusation resulted in a scandal, known as the Brown Dog affair, and a libel lawsuit. While the researcher ultimately won the suit, the ensuing outrage over performing surgeries on live animals raged on for decades. At a time when women did not have the right to vote, Hageby and Schartau took to the streets, giving speeches and rallying support for their mission. In 1906, Lind af Hageby co-founded the Animal Defence and Anti-Vivisection Society (ADAVS) and, in 1954, she opened a 237-acre animal sanctuary in Dorset, England. 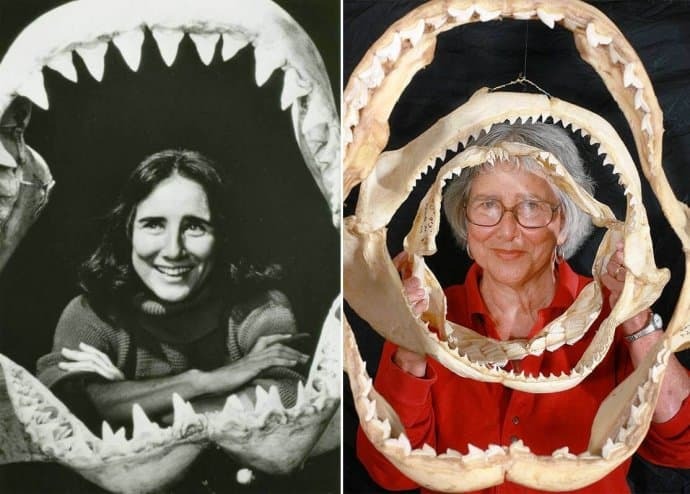 Nicknamed “the Shark Lady,” Dr. Eugenie Clark (1922- 2015) was a pioneer in marine conservation. She was best known for her study of shark behavior, and her impassioned journey trying to improve their reputation in the public eye. She was born in New York City in 1922, to a Japanese mother and an American father (who passed away when she was still a baby). Her mother remarried a Japanese restaurant owner, and Clark credited the ocean-focused Japanese culture for her life-long love of marine life. She first became enamored with fish while spending Saturdays at the New York City Aquarium. Dr. Clark’s passion for sharks lead her to pursue a doctorate and perform aquatic research. She became a veteran of more than 70 deep dives, continuing well into her nineties, in a career that spanned more than 50 years. She also found “sleeping sharks” suspended in undersea caverns off Mexico’s Yucatán Peninsula. This discovery helped to dispel the long-held theory that sharks had to keep moving in order to survive. In 2015, the U.S. Congress posthumously honored Dr. Clark for her contributions and efforts to understand, preserve, and educate others about our spectacular ocean life. Born and raised in Massachusetts animal advocate, Harriet Hemenway (1858–1960) spearheaded the movement that ended the feather trade and saved countless birds from being killed for their quills. Hemenway discovered her calling after reading an article about feather hunting. During the Gilded Age, thousands of birds– including raptors, songbirds, herons, bluebirds, owls, egrets, and woodpeckers– were killed for fancy plumes to decorate women’s hats. Hunters would kill and skin the mature birds, leaving their babies to starve to death or fall prey to other animals. In 1896, Hemenway and her cousin, Minna B. 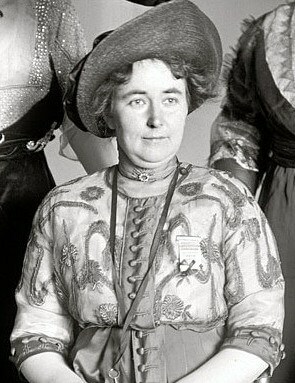 Hall, began hosting tea parties for influential women. There, they asked all attendees to stop wearing feathers. They invited these women to join an organization for the protection of birds, which was known as the Massachusetts Audubon Society. It’s now the oldest Audubon chapter in the country. The group gradually expanded to 900 women, and their power and influence became strong enough for the state government to pass a law banning the trade of bird feathers. Other states soon followed suit and, in 1913, the Weeks-McLean Bill (also known as the Migratory Bird Act) was enacted to end the deadly trade for good. Word of the movement soon spread as far as England, and even Queen Victoria herself proclaimed that she would no longer don plumage. Kenya-born animal activist, Daphne Sheldrick has lived and worked in the Nairobi National Park for the past 25 years. 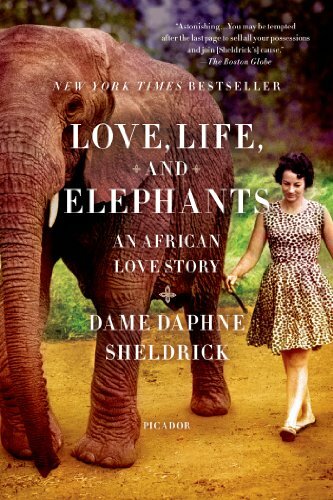 After the 1977 passing of her husband, naturalist David Sheldrick, she started the David Sheldrick Wildlife Trust in order to help save orphaned wildlife. Dr. Sheldrick grew up amongst wild and domestic animals on a beautiful farm in the Rift Valley. Her lifelong love of animals led her to the pioneering work of The Orphans Project. This world-renowned program takes in orphaned elephants and rhinos (the products of poaching) and rehabilitates them with loving care. Known as the foster mom to these fragile babies, Sheldrick has perfected the milk formula and the necessary husbandry, and has since been recognized as an international authority on the rearing of wild creatures. These animals are reintroduced into the wild after rehabilitation. Since its inception, The David Sheldrick Wildlife Trust has hand-raised over 150 infant elephants. 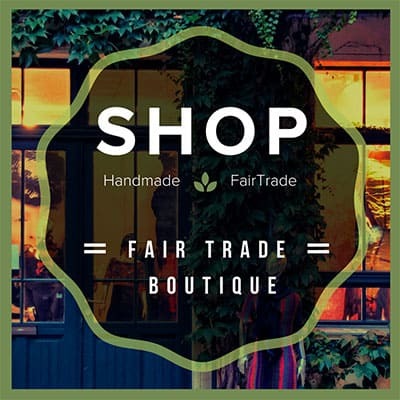 , as well as several books and articles. She continues to give lectures and make television appearances about the life-changing work of the trust. The BBC documentary Elephant Diaries and the film Born to be Wild depict her work with elephants. In the 2006 New Year’s Honours List, Queen Elizabeth II appointed Dr. Sheldrick to Dame Commander of the Order of the British Empire. READ MORE: Killing for Conservation: Can Hunting Save the Black Rhino? Dr. Laurie Marker has worked with Cheetahs since 1974, and is the Founder and Executive Director of the Cheetah Conservation Fund in Africa. Determined to study the world’s fastest land animals and establish a permanent conservation research center, Dr. Marker set out to Namibia, the Cheetah’s last stronghold. Cheetahs are increasingly endangered because of habitat loss and coming into conflict with livestock farmers. CCF’s mission is to release captive-born Cheetahs into the wild, develop a conservancy for them on Namibia’s livestock farmlands (in cooperation with the farmers), and improve their habitats by clearing invasive bush. In 2000, Dr. Marker was recognized as one of Time magazine’s Heroes for the Planet. She received the Zoological Society of San Diego’s Lifetime Achievement Award in 2008, and was awarded the 2010 Tyler Prize for Environmental Achievement. Lek Chailert grew up in a small hill tribe village two hours north of Chiang Mai in Thailand. While working with trekking companies after college, Chailert discovered the horrific abuse and neglect that many domestic Asian Elephants endure. Elephants retired from logging were forced to perform on the streets, or sent to “Elephant ride” tourist camps where they lived in horrible conditions. 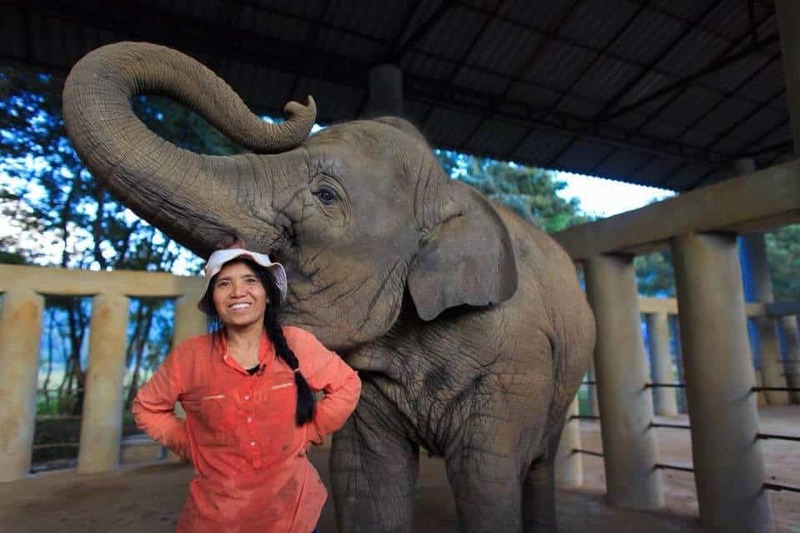 Chailert decided to take matters into her own hands and began fighting for better treatment of the Elephants. In 1995, she created the Elephant Nature Foundation, which advocates for the rights of Asian Elephants. Within the foundation, the Elephant Nature Park (ENP) operates as a sanctuary and rehabilitation center. The park provides a natural environment, allowing formerly abused and retired Elephants to live out their lives freely. The foundation’s Jumbo Express also provides emergency healthcare to Elephants in remote villages throughout Thailand. At the tender age of eight, Krithi Karanth was tracking Tigers beside her father, Dr. Ullas Karanth, one of India’s pioneering conservation biologists. She eventually realized that the threats to wildlife often stemmed from farmers fighting to protect their livestock and crops. After completing her Master’s Degree at Yale and her Doctorate in Conservation Biology at Duke University, she returned home to continue mapping and modeling conflict zones all across India. She has since published 16 scientific articles in conservation journals around the world, and her work has been covered by major newspapers in India. As an associate conservation scientist with the Wildlife Conservation Society and Executive Director at the Centre for Wildlife Studies in Bengaluru, India, Dr. Karanth has dedicated her life to improving the plight of the endangered Tiger. She was named one of National Geographic’s Emerging Explorers in 2012, and was also selected as one of India’s Power Women by Femina. 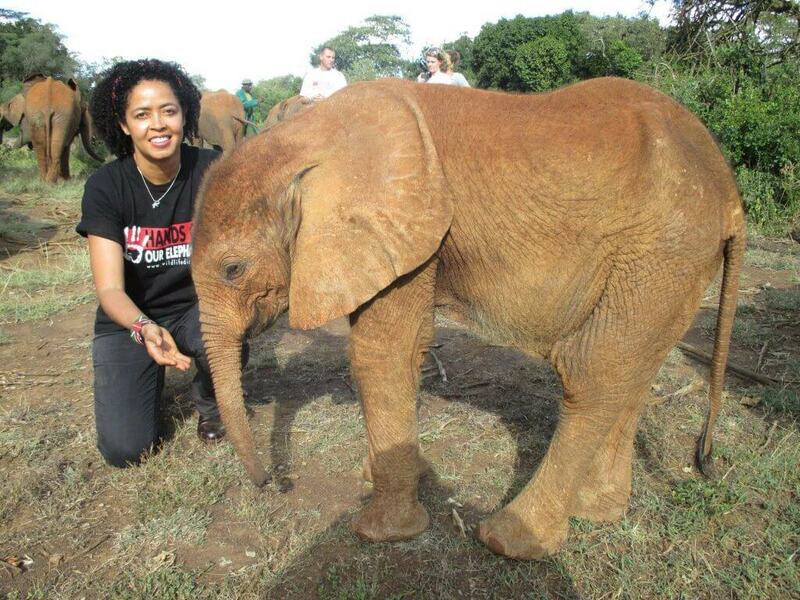 As the CEO of Kenyan conservation NGO Wildlife Direct, Dr. Paula Kahumbu is leading the “Hands off Our Elephants Campaign” in Kenya. The high-profile campaign began with help from the country’s First Lady, Margaret Kenyatta, in 2013. It aims to restore the nation’s leadership in Elephant conservation through behavioral shifts, from rural communities to decision-makers. One of the key ways the program functions is by engaging the community to become animal rights activists via media coverage, and setting up an anonymous hotline for reporting wildlife crime. 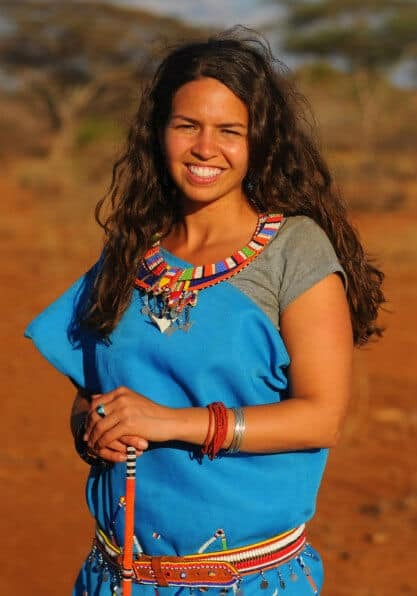 Dr. Kahumbu is also an accomplished writer: She co-authored a best-selling non-fiction book about a Hippopotamus and a Tortoise, titled Owen and Mzee: The True Story of a Remarkable Friendship. British-born Jill Robinson arrived in Hong Kong from the UK in 1985, and spent the next 12 years as a consultant for the International Fund for Animal Welfare. It was in that role that she witnessed scenes of widespread animal cruelty. She founded Dr. Dog– the first animal therapy program of its kind– in 1991 to help change Asian people’s views about dogs. But it was when she had an encounter with a caged bear at a bear bile farm in China that her life ultimately changed forever. She was shocked and horrified to see first-hand the immense pain that these Asiatic and Sun Bears suffer. After realizing that their bile could be replaced by herbs, Robinson made it her mission to put an end to bear bile farming once and for all. 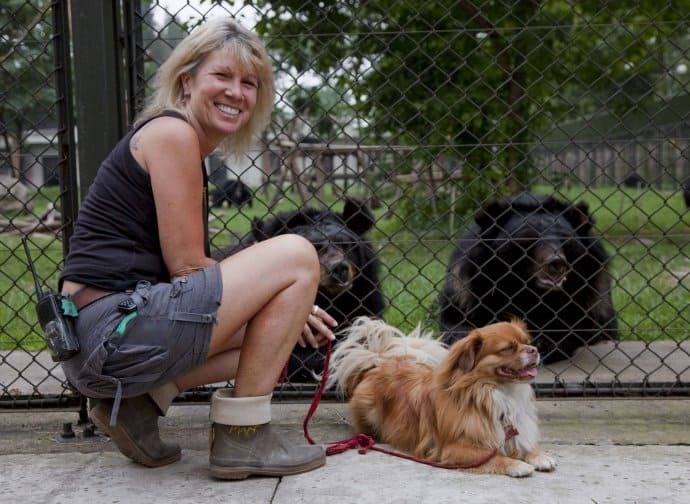 She started Animals Asia in 1998, and has since helped rescue over 400 bears in China and Vietnam. She and her team of animal rights activists also fight for cat and dog welfare, working with 100+ groups across China to provide a convincing argument as to why companion animals should be friends, not food. 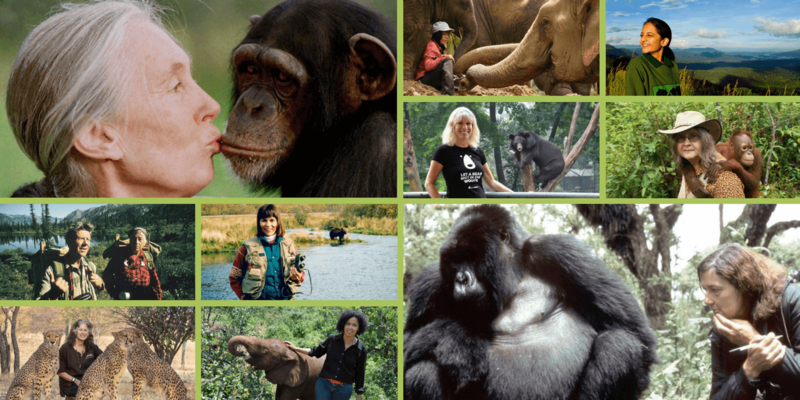 Awarded an MBE by Queen Elizabeth in 1998, and the Global Federation of Animal Sanctuaries award for world’s best sanctuary in 2011, Robinson regularly travels around the globe to speak about her organization’s work. She continues to visit hospitals and homes for the elderly with her therapy dog, Eddie, who was rescued from a meat market in China. Born in Egypt, 37-year-old Dr. Leela Hazzah didn’t grow up with lions, as they had long been extinct in the country. However, her childhood of listening to stories about roaring lions inspired her to pursue a career in conservation biology. In 2007, she started the non-profit Lion Guardians in East Africa to help protect the kings of the jungle. The organization began with just five guardians working in a small area in the Amboseli-Tsavo ecosystem. It has since expanded to 65 guardians spread all across Kenya and Tanzania, covering one million acres. Dr. Hazzah lived among the Maasai people for a year in order to understand their relationship with the majestic beasts and why they were being killed. The root of the problem was the relationship the Maasai have with their livestock, which often fall prey to lions. The non-profit now works with the tribe to save the lions by emphasizing the benefits of their preservation and their value to culture and tourism. Over the past decade, the organization played a crucial role in reducing the human-animal conflict in Kenya and Tanzania. As a result, the lion population is showing signs of recovery. She can now hear the lions roaring that she never experienced as a child. Lavanya Sunkara is a writer based in New York. Her love of adventure has taken her all over the world from Australia to Zanzibar. When she’s not traveling, she’s hiking with her dogs, and planning her next getaway. Follow her on twitter @Nature_Traveler. Read her articles at www.nature-traveler.com.